The big picture: The tension threatens to override Trump's positive rhetoric and regulatory rollbacks elsewhere in the administration. Today’s conflicts are more wide-ranging that last year’s main battleground: Energy Secretary Rick Perry’s failed plan to boost coal and nuclear power plant revenues in the name of grid resiliency. Gas producers opposed Perry’s proposal, fearing it would undercut their fuel’s advantage in power markets. Trump is poised to impose steep tariffs on steel and aluminum imports by mid-April. It'd be a big defeat for major oil and gas companies that lobbied hard against the penalties. They say tariffs will raise pipeline costs because there’s not enough domestic steel available. "President Trump is committed to achieving fair and reciprocal trade relationships that protect the American worker and grow our economy," Raj Shah, principal deputy press secretary said in a statement to Axios. The energy industry is also worried about what changes the administration is trying to make to the North American Free Trade Agreement. Causing the most anxiety: Reports that a provision allowing investors to sue countries for alleged discriminatory practices is being scrapped as part of negotiations, which are getting underway in Mexico City this week. The provision, known as investor state-dispute settlement, is critical to encouraging American companies to keep investing in Mexico’s burgeoning oil industry, according to industry lobbyists. Eliminating it “would stifle access to capital because people would be unwilling to underwrite transactions if two sides aren’t bound by a common understanding of how you resolve differences,” said Scott Segal, a partner at Bracewell, a firm whose clients include pipeline developers and oil refiners. In response to industry concerns over this provision, a White House spokesperson noted that NAFTA was put in place 24 years ago, and a lot has changed since then. "Some sectors of the economy have gained, but others, such as manufacturing, have been harmed," the spokesperson said by email. "The President is committed to a fair deal for all Americans by improving market access in Canada and Mexico for U.S. manufacturing, agriculture, and services." The Trump administration is caught in a seemingly endless firestorm over a federal ethanol mandate. The White House is expected to hold meetings this week, including with Trump, to discuss to what extent the oil and ethanol industries can agree on changes to the mandate. The president has consistently expressed support for the policy, which provides jobs in the political battleground and corn-rich Iowa. The intensity of the fight grew in the wake of a newly announced bankruptcy at a Philadelphia refinery, which is blaming the mandate for its financial woes. The development is pitting Trump between his ethanol allies in Iowa and blue-collar refinery jobs in Pennsylvania, another politically key state. He won both states in the presidential contest. The policy, which Congress first passed in 2005, requires refineries to blend increasingly large amounts of biofuels, mostly corn-based ethanol, into the nation’s gasoline supply. The oil industry itself is internally divided over the mandate. That’s because some have made investments to comply with it over the past decade more than others. The White House is frustrated by that lack of unity, which is a factor stalling any resolution to the issue, according to an administration official and multiple industry executives. I wrote last month about how Interior Secretary Ryan Zinke’s surprise reversal promising to rescind Florida from offshore leasing consideration was an early 2018 stumble for the Trump administration. That kerfuffle also escalated simmering tensions between the White House and the American Petroleum Institute, according to multiple industry and administration officials. The administration believes the organization didn’t do enough outreach to stakeholders in coastal states like Florida, while API criticized Zinke's reversal. White House spokespeople declined to comment on the ethanol and offshore leasing developments. What’s next: More rough patches. The tension from the Florida decision is likely to wear on as the Interior Department slogs through its multi-year offshore leasing process. 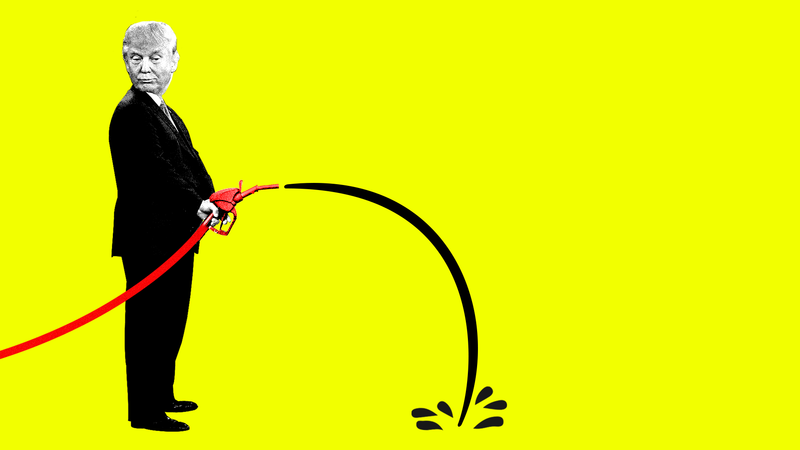 No one thinks the latest White House meetings on ethanol will spell the end of that dilemma. Trump has until April 11 to decide whether to impose tariffs on steel imports.